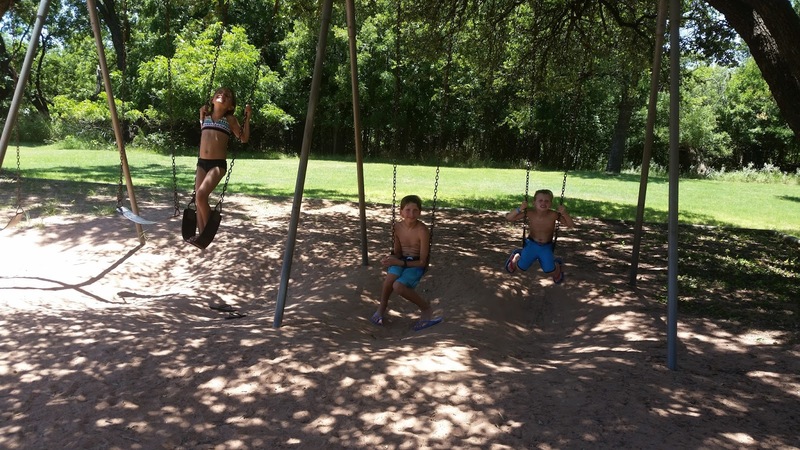 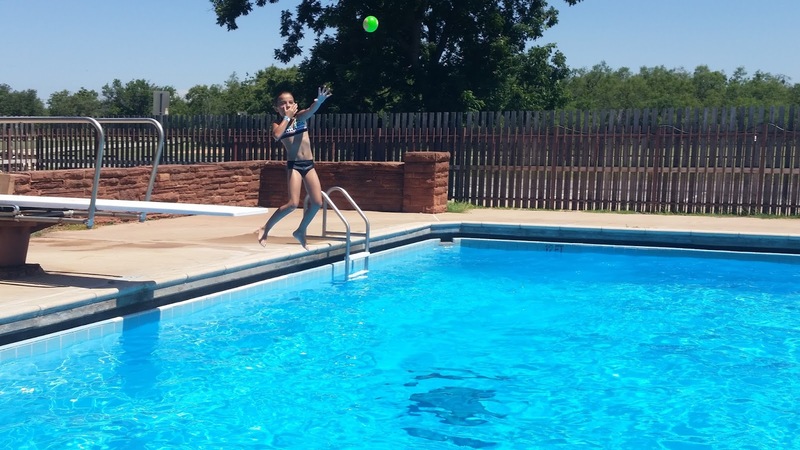 The best feature of the Abilene State Park is the pool!!! 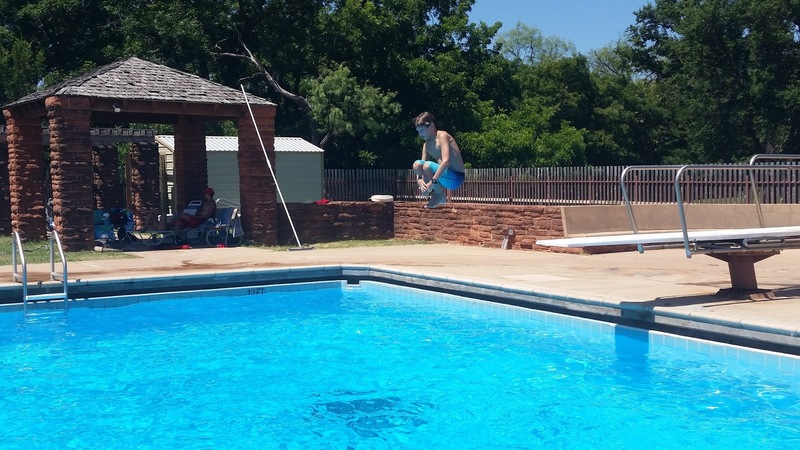 Although we were bummed that they took out the high dive. 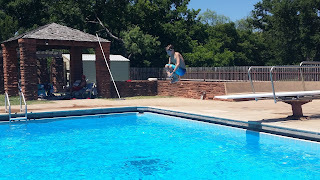 Still, it was lots of fun. 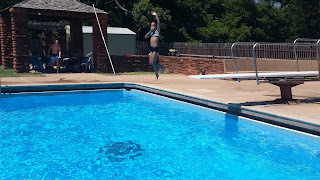 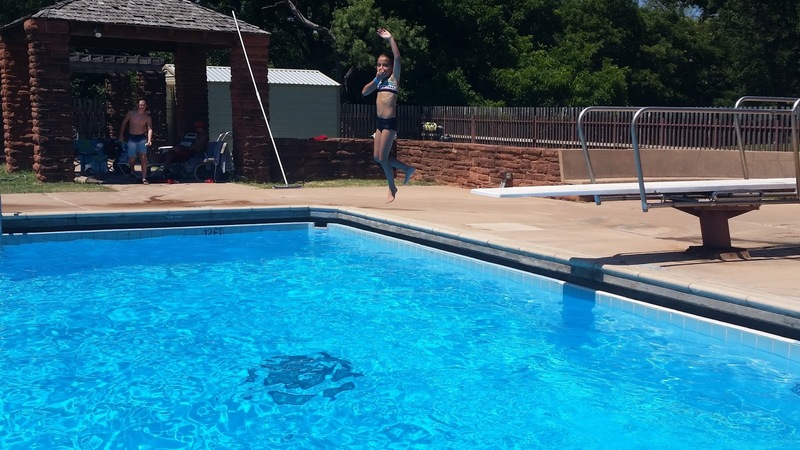 Caselyn going off the diving board. 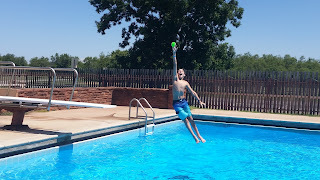 Dawson's loves trying to catch balls mid-air as he jumps off the diving board. 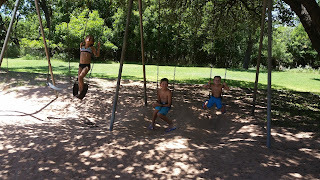 A little swing time to dry off before we got back in the car.